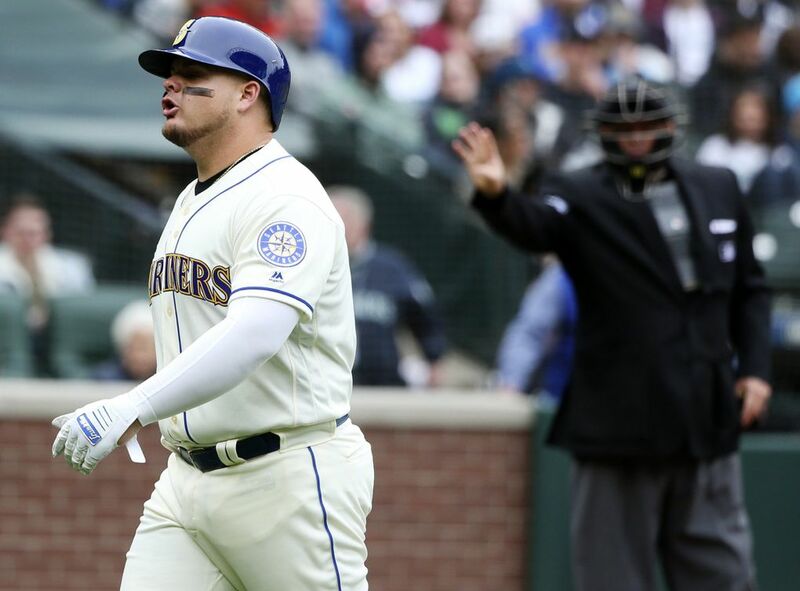 In the top of the eighth inning Sunday, a man in a gray Mariners jersey with the name “Big Unit” stretched across his shoulders stood in the first row behind home plate and prepared to conduct an orchestra. “One. Two. Three. Go!” he shouted at the crowd, urging rows of curious onlookers to start a synchronized wave. 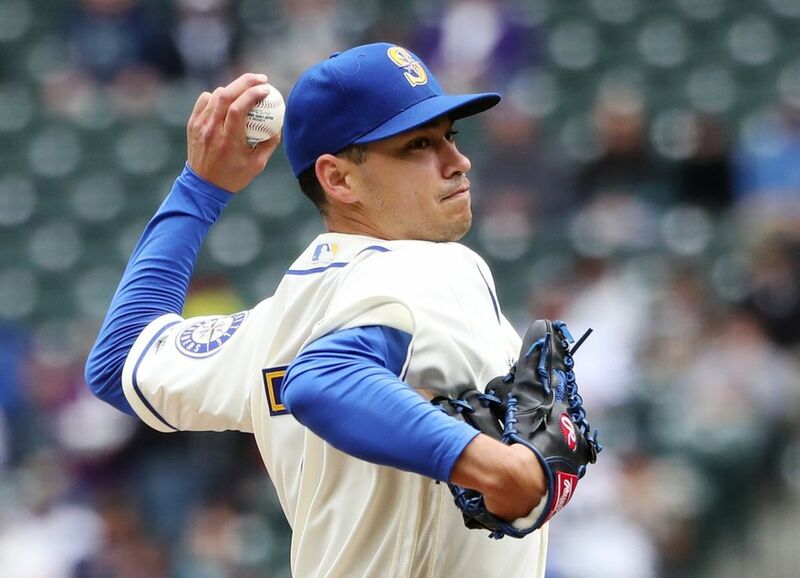 He even demonstrated the motion, enthusiastically raising his hands above his head — which was appropriately covered in a dark blue Mariners beanie. A few fans dutifully mirrored the motion, but the “wave” — more like a sprinkle — inevitably sputtered out. But, not one to be denied, Big Unit turned from his left to his right and tried again on the other side. After multiple minutes of increasingly unsuccessful attempts, an usher mercifully approached and directed Big Unit back to his seat. 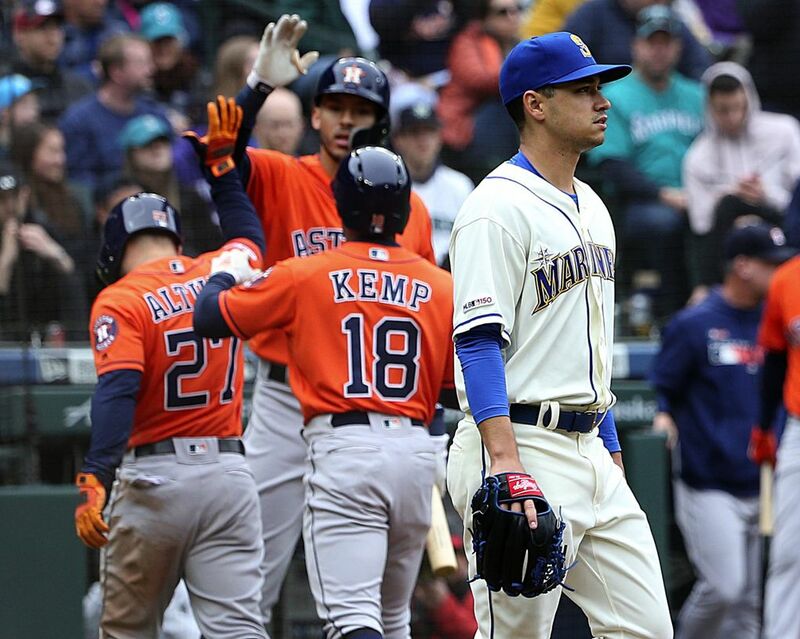 That, in a nutshell, was the story of the Mariners’ 3-2 defeat Sunday against the Houston Astros. 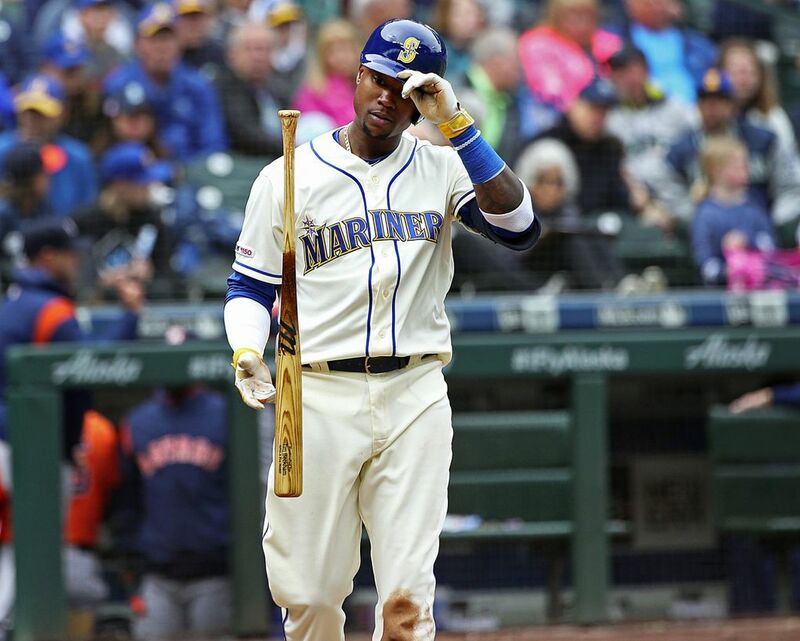 Try as they might, the Mariners couldn’t get going. 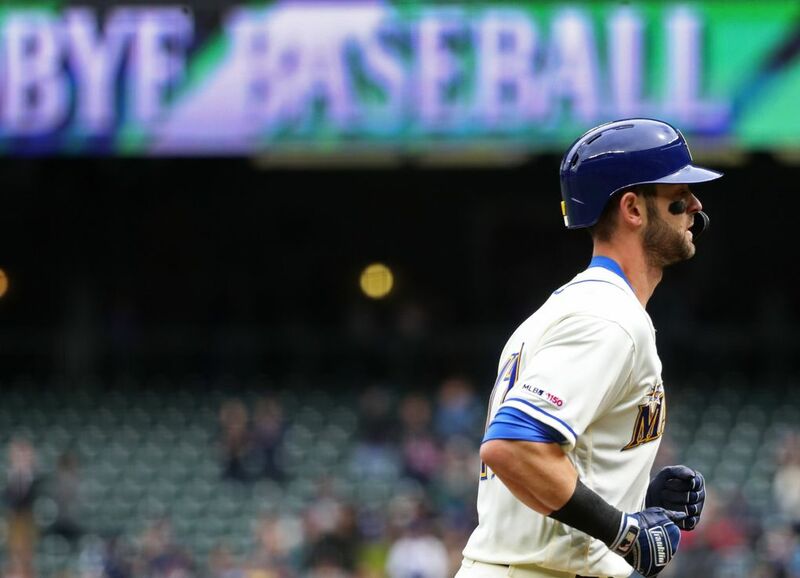 Of course, that wasn’t the case in the first inning, when center fielder Mitch Haniger led off by launching a 1-2 curveball over the left-field wall — simultaneously extending Seattle’s season-opening major-league record of 18 games with a home run. 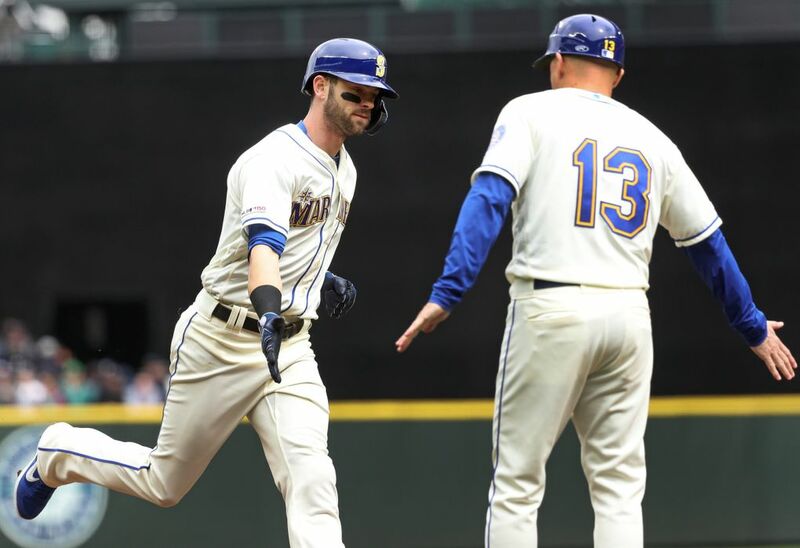 Haniger also helped extend the lead in the third, when he fisted a two-out double to left field and then scored on a Domingo Santana double to nearly the same spot. 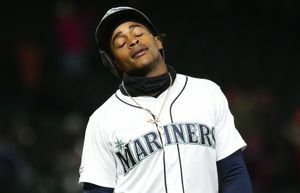 But Santana proved to be Seattle’s final base runner of the game, as the Astros retired the final 19 Mariners in order. 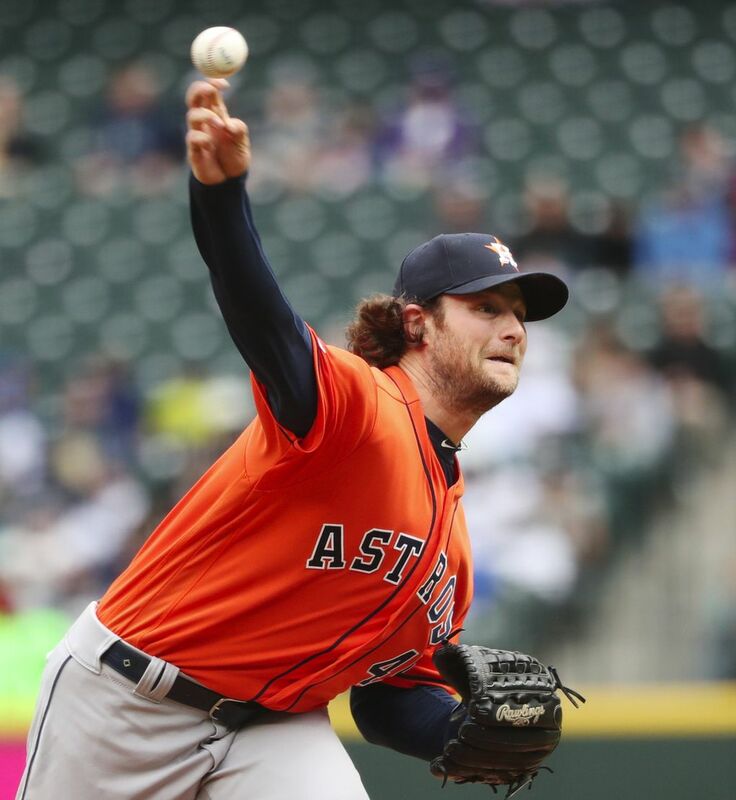 Hard-throwing right-hander Gerrit Cole allowed just four hits and struck out 11 in six efficient innings, and relievers Hector Rondon, Ryan Pressly and Roberto Osuna combined to hold the home team hitless in the final three. In all, a lineup that scored at least five runs in 15 of its first 16 games couldn’t buy a base runner Sunday. 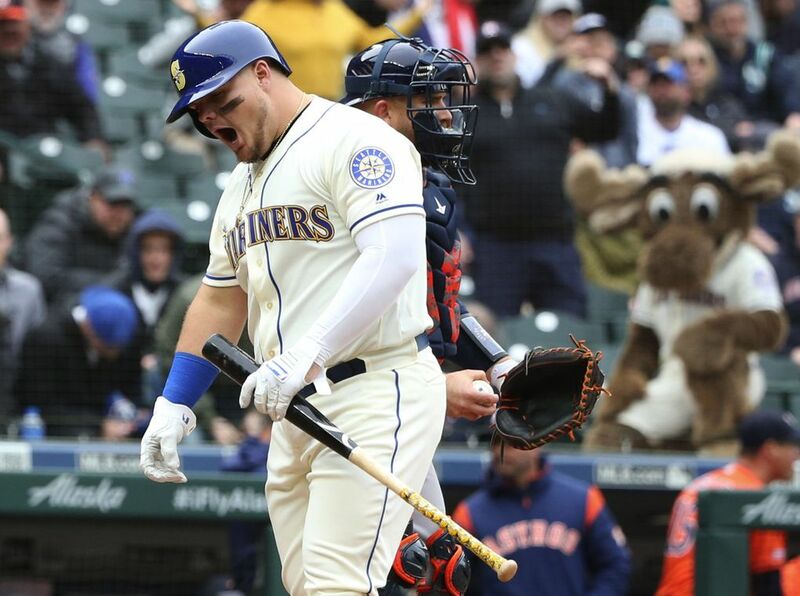 In their past two defeats, against Cole and Justin Verlander, the Mariners (13-5) have managed eight hits and three runs. 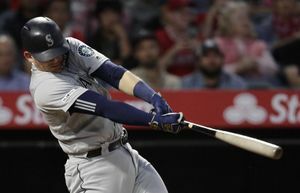 “They threw the ball really well against us all weekend,” Mariners manager Scott Servais said. “We hit them around a little bit on Friday night, but the last couple games have been good ballgames. They’ve been tight. We’ve done a pretty good job defensively. We’ve made the plays. 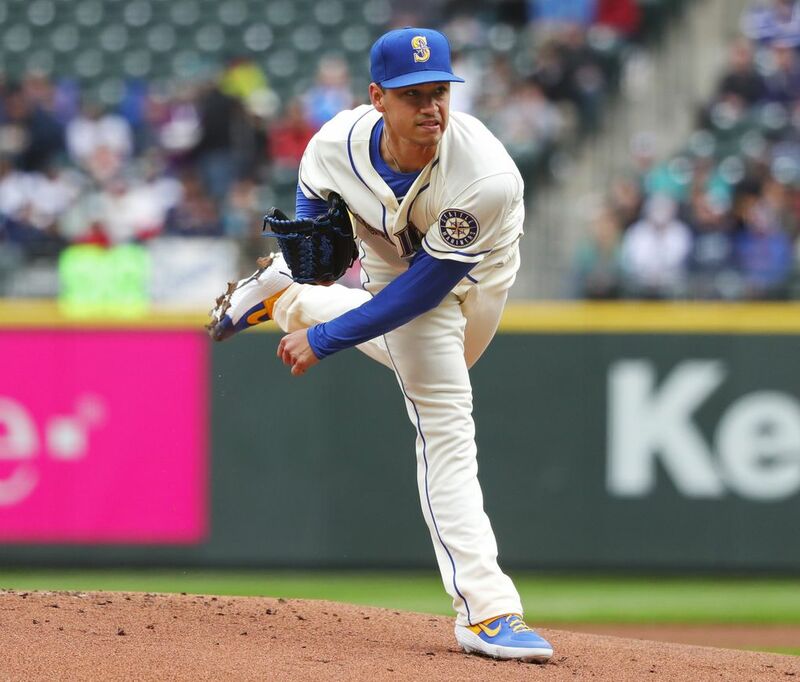 On the other side, Mariners starter Marco Gonzales momentarily kept pace, allowing just one hit and zero runs through the first five innings. But when the sixth inning hit, so did Houston. 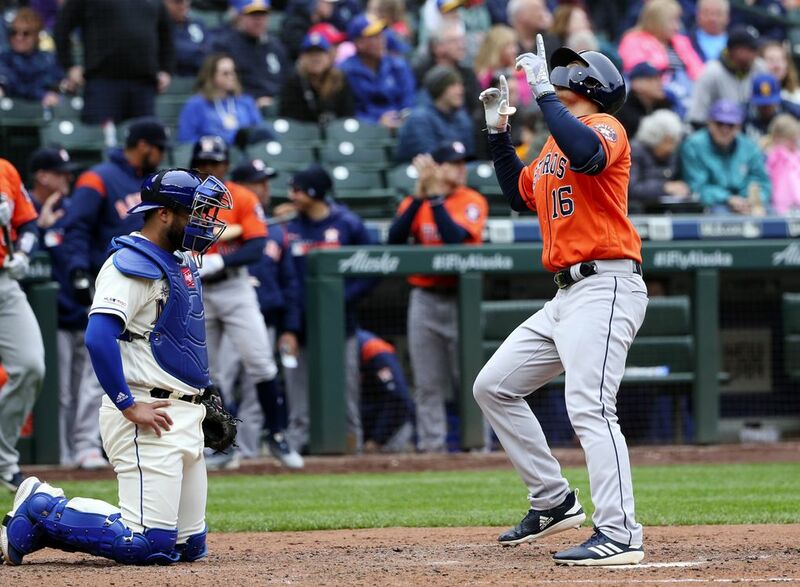 The Astros collected four singles, and a Michael Brantley hit to right field scored both Tony Kemp and Jose Altuve. Gonzales failed to escape the frame, allowing five hits, two walks and two earned runs in 5.1 innings. Mariners reliever Brandon Brennan has limited hard contact as well as anyone this season, entering the game on a 10.2-inning scoreless streak. The 27-year-old right-hander extended that streak in the fifth, striking out Carlos Correa and Yuli Gurriel to clean up Gonzales’ mess. But on the first pitch of the following frame, designated hitter Aledmys Diaz sent a low liner over the tip of the left-field fence to give the Astros a 3-2 lead. That’s something Seattle struggled to do this weekend, striking out a total of 28 times in the past two games. 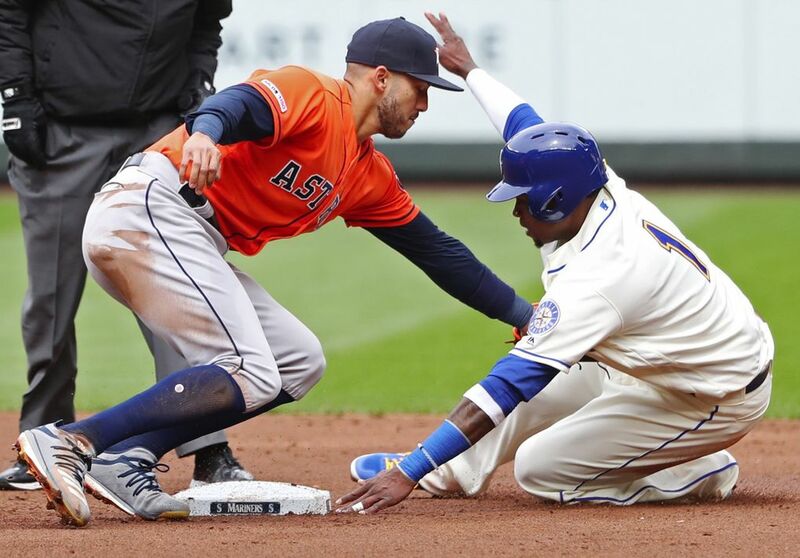 But Servais didn’t sound overly concerned about the Mariners’ lack of contact. “It’s going to happen,” he said. “Yeah, they’ve got great stuff, and they’re making pitches. And sometimes they get a little help. The ball is just off the plate or a couple inches here or there. You’ve got guys with that kind of stuff, and give them credit. They’re putting the ball there and the plate’s getting a little wider at times. 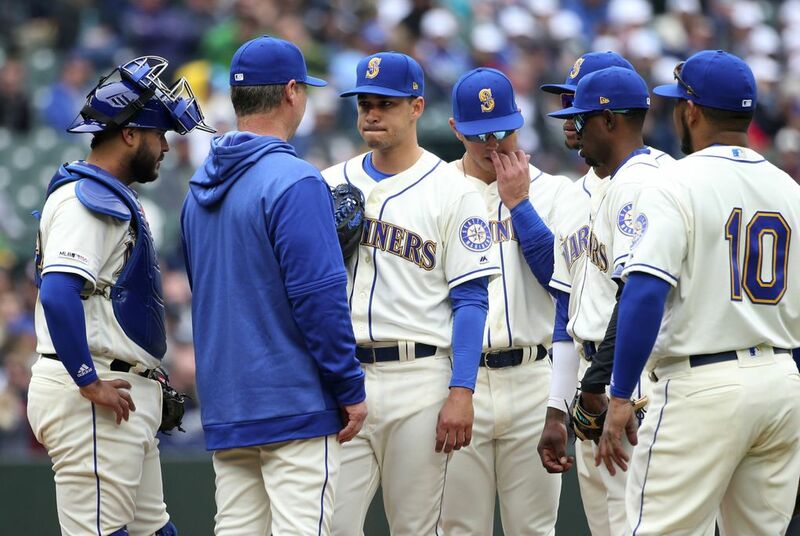 Servais’ club ran into the wrong club on the wrong weekend, and the result was Seattle’s first losing sweep of the season. 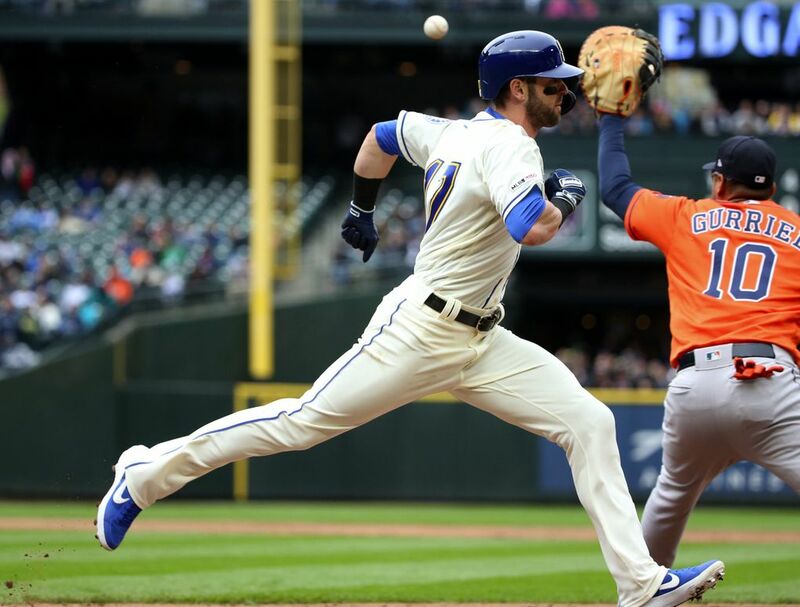 The Mariners brought a hot start into the homestand, but they couldn’t ride the wave.